After months of anticipation, the big day is finally here. Millions of Americans will be casting their votes for the next President of the United States -- and here at WEbook, thousands of writers and readers from all over the world will weigh in on the next hot published book. Check out the submissions here. Each WEbooker can vote once for each book -- just give it the thumbs up (publish! ), thumbs down (don't think so), or thumbs "neutral" (not sure). Voting runs until November 18, so take your time and take a look at a few books every day. Not sure where to start? Check out the WEbook Spotlight offerings, at the top of the voting page. These WEbook staff picks will change each day, giving exceptional submissions a chance to shine, and helping voters focus their efforts. Don't forget to browse the rest of the listings by vote rank, title, genre, or author, to find other books you may be interested in. And, because the WEbook staff isn't perfect, we invite you to nominate any extra-fantastic projects you come across for the WEbook Spotlight -- just visit my profile and send me a message with the subject line: Spotlight. 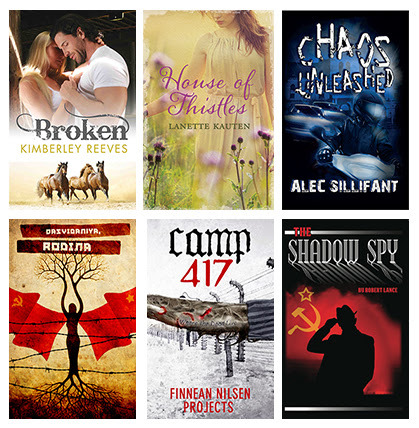 up for WEbook today and help pick the next published WEbooks!